Is INLIV right for you? Let’s have a conversation. Our INLIV wellness advisors will help put all the pieces of your health puzzle together so you can see the full picture. We’re here for you on that journey that is life. So what happens now? There is no high-pressure sales speech, just a relaxed conversation. One of our wellness advisors will get in touch to discover a little bit about your health and wellness needs. We invite you to tour our facility so you can experience INLIV for yourself and meet some of our team. You’re encouraged to ask questions and lots of them. Like the perfect shoe, we want you to be confident that INLIV feels comfortable and suits your style. Prefer to send an email directly rather than submit a form? We’d love to hear from you. Would you like to receive health information from INLIV (e.g., news and updates). You may withdraw your consent at any time. : Yes, please!No, thank you. INLIV is an industry leader in providing highly customized, one-on-one personal training and fitness services in Calgary. Our team approach enables us to draw on a diverse portfolio of health and fitness professionals including personal trainers, nutritionists, physiotherapists, and physicians to help you achieve your best results. INLIV’s fitness centre in the Victoria Park area of Calgary is dedicated to assisting you build your best self. Our rotational trainer system utilizes a motivating team approach to personal training. Your team of trainers will rotate on a structured schedule to maintain novelty and enjoyment during your fitness sessions, and to help ensure you never experience the frustration of a plateau. With our personalized service, they’ll notice if you get off track – expect a phone call if you miss sessions! Your program is fully customized to help you achieve your goals. Our medically-based fitness assessment ensures your customized fitness plan is optimized for success. Your assessment includes a health risk survey, BOD POD body composition analysis, musculoskeletal screening, blood test and a wellness review. All the tests are completed at our facility for speed and convenience. 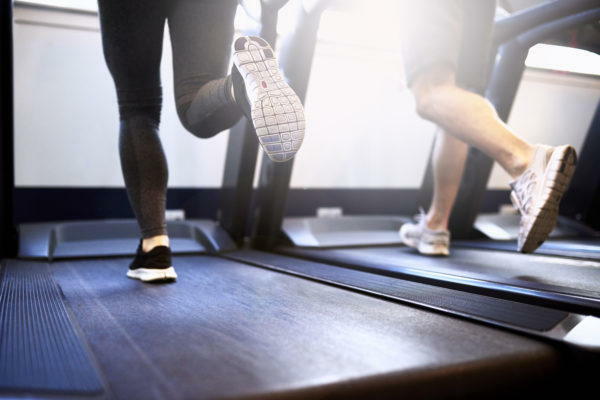 With your assessment results, we establish your baseline and address any injuries or challenges before our team of fitness specialists collaborate with you to develop a customized plan and set benchmarks for your success. Using air displacement technology, the BOD POD measures lean body mass, fat mass, resting metabolic rate (the number of calories your body needs to support its basic functions of living), and total energy expenditure (the number of calories you need to make it through the day). In just 15 minutes, the BOD POD provides information critical to tailoring the perfect training and nutritional approach for improved health and fitness. VO2Max is the number one diagnostic tool to analyze your body’s aerobic engine. 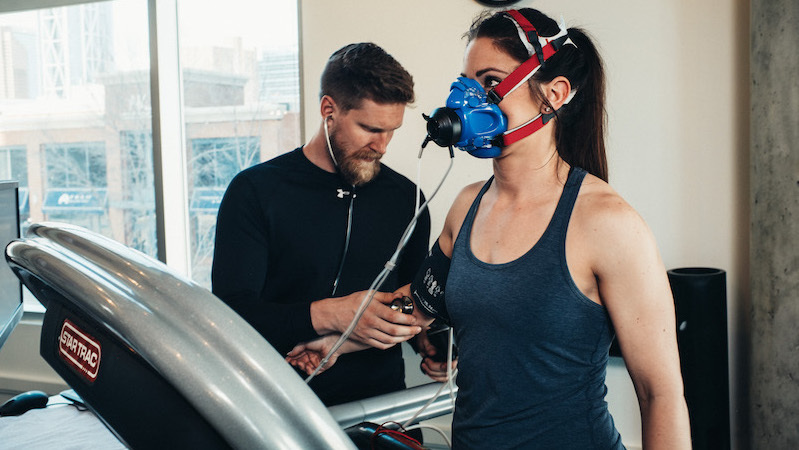 Measuring the amount of oxygen inhaled and the amount of carbon dioxide exhaled as you exercise, we determine your maximal oxygen consumption, aerobic and anaerobic thresholds, and the ratio of which types of fuels are used during different intensities of exercise. Our team will establish your training zone and track your progression. Our dedicated team will help you navigate and manage your health through all of your life changes. INLIV is a team of champions, committed to personal health, wellness and inspiring amazing lives. Visit the INLIV HEALTH PORTAL to book appointments online and access medical information for you and the people under your care. © 2019 INLIV. All rights reserved.